Learn more about American Concerto and how to purchase. Whenever we have played excerpts of it, listeners have responded with intensely personal and sometimes quite elaborate reflections—Kathryn and I have been amazed by the variety of images and emotions. We were especially touched by our friend, Director Alexander Payne’s poetic and powerfully visual response to the music. I guess “American” means something different for each of us. The American Concerto for Piano & Orchestra paints on a large canvas. It’s three movements (kind of like three acts of a play) are all very different in character with highly varied moods. Yet the three movements project a very clear dramatic trajectory. The concerto celebrates the melting pot of musical influences and ideals in America. You will hear folk-like melodies which follow in a long American musical tradition ranging from Stephen Foster to Aaron Copland. Jazz-tinged echoes of Gershwin and Cole Porter resound throughout the first movement in a nod to the American Songbook. The concerto is infused with the aesthetic of the grand piano concerto, enlivened and refreshed by a pervasive cinematic sound. The second movement is concerned with freedom– America’s profound association with the ideals of freedom and its need to be constantly rebirthed anew. This movement is inspired by the poetry of an imprisoned writer observing the beauty and freedom of the natural world from within his prison cell. Tall eucalyptus with a broad moon. A star trembles on the water. Stones, flayed stones all the way up. a fish jump twice, three times. The third movement travels through the expansive American landscape, taking us from the valleys, through the rivers and to the mountain tops. The concerto’s culminating mood is joyful and celebratory with fanfare, bell peals and most of all– melody. When we began composing this piece it was pointed out to us that it has been more than 100 years since a piano concerto has been written that has survived in the core canon of concerto repertoire. Kathryn and I really wanted to write a piece that would be loved by pianists, orchestras and audiences all around the world. We have been extremely gratified that so many orchestras, here and abroad, have expressed such strong interest in performing it. 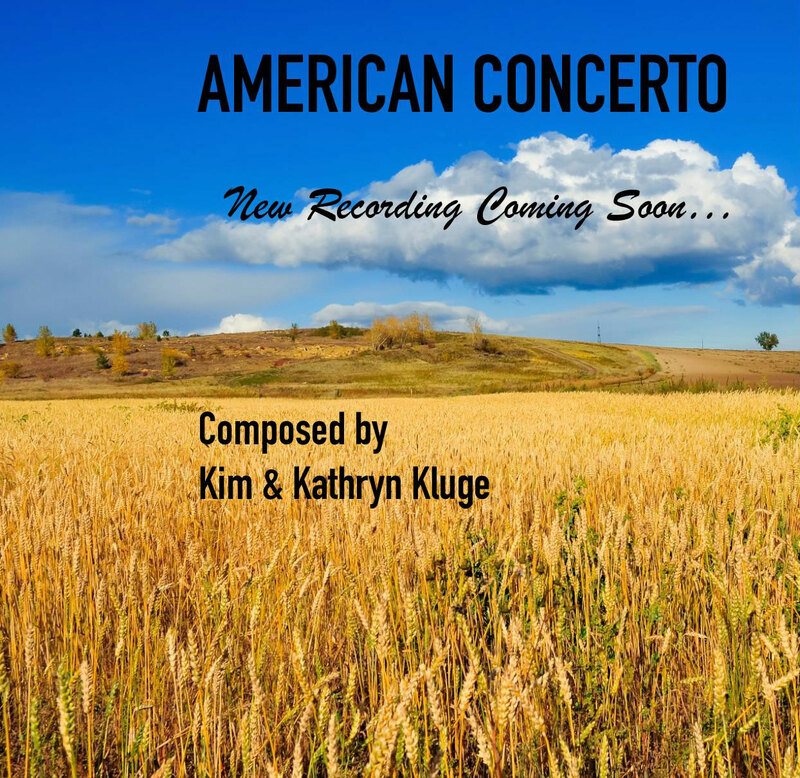 We wrote the American Concerto for Piano & Orchestra from the heart.